Hoosier Baseball comes back to The Bart coming off a thrill ride of a victory in Louisville and currently on a three game road winning streak. Feels like things are kicked back into gear just at the right time. But in baseball they do say Momentum is really only as good as your next day’s starting pitcher. 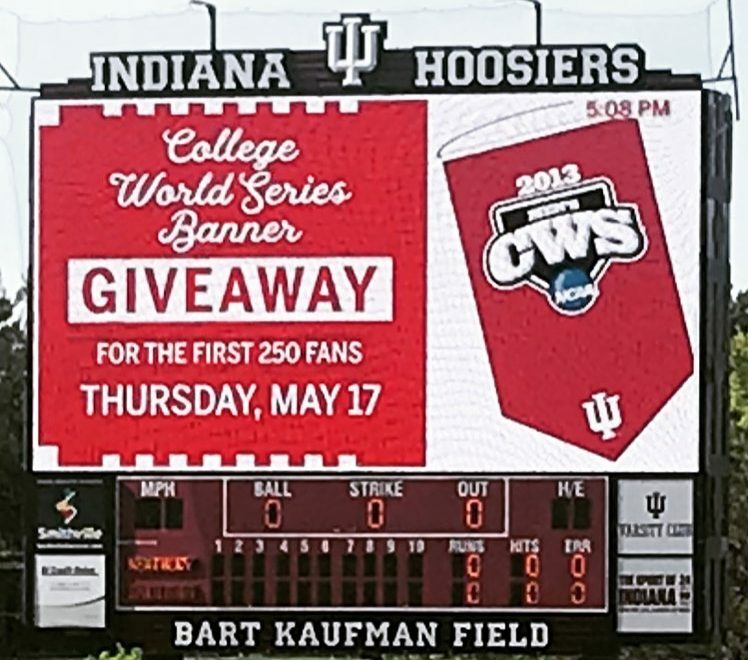 The last time Hoosier Baseball played Maryland we split the first two games and were down 3-2 the 7th inning of Game 3 on Sunday until this happened. And in case you missed it, no better time than now to make sure you know that two Future Hoosiers were selected to wear USA across their chest this summer in The Tournament of Stars . 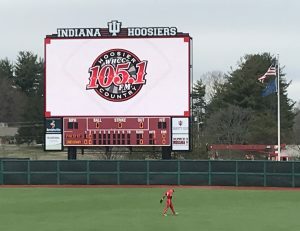 Here’s a link to Talking Hoosier Baseball Episode 15 for some more of a Series Preview, B1G and NCAA Tournament implications for the weekend, and a little send off we did for the Seniors. Part of me feels like we were just sitting there freezing at the Home Opener watching John flip that scoreboard out in rightfield over and over again for The Bearcats. But the reality is there’s just these three left for 2018 At The Bart. If you can, get there early on Saturday for the Senior Ceremony. Should start about 1:30pm. We ended the road version of the schedule handing out three consecutive Win T Shirts. No reason not to do the same for the home schedule. Send The Bart out right for 2018.